One of the best-known and most-loved parts of the Emerald Isle is County Cork, situated deep in the south. With around 680 miles of coastline, 74,000 hectares of forest, mountain ranges and several lakes, this part of the world is perfect for those who love the outdoors. Whether it's bird-watching, horse riding, cycling or a gentle stroll, Cork has something for everyone. Named after the main city of Cork, the county boasts a diverse offering of cultural attractions, landmarks, museums and boat tours together with a vibrant nightlife, boutique shopping and adrenalin-pumping activities. For shopping with a difference, try the City Market in the centre of Cork. This is a covered market where you can buy no end of top quality artisan foods from independent retailers or stop for a cup of tea and something naughty to nibble on. The city itself is definitely worth exploring at length; visit St Fin Barre's Cathedral, the City Gaol, Cork Vision Centre or take in the views from St Patrick's Hill. One thing you can't possibly miss is a trip to Blarney Castle - home of the eponymous stone. The castle dates back to the 1400s and while it's now pretty much a ruin, tourists still flock to kiss the Blarney Stone (said to bestow the gift of the gab). Blarney House and its grounds are also interesting, featuring strangely-named rock formations and a 'poison garden'. Don't get too close. If your trip coincides with some warmer weather, then don't forget the beach. Barleycove Beach is said to be one of the best County Cork has to offer and is a winner of a prestigious Blue Flag. It's said to exist as a result of a tsunami near Portugal in 1755, the displaced sand forming a beautiful cove which has ever since been popular with swimmers, families and anyone fancying a day at the seaside. The surrounding area is also stunning and ideal for a picnic with a view. 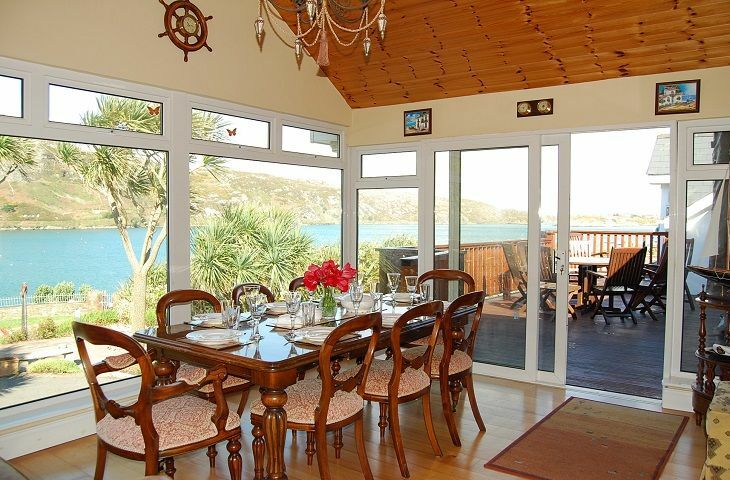 This stunning waterfront house lies in the beautiful fishing village of Crookhaven in West Cork. 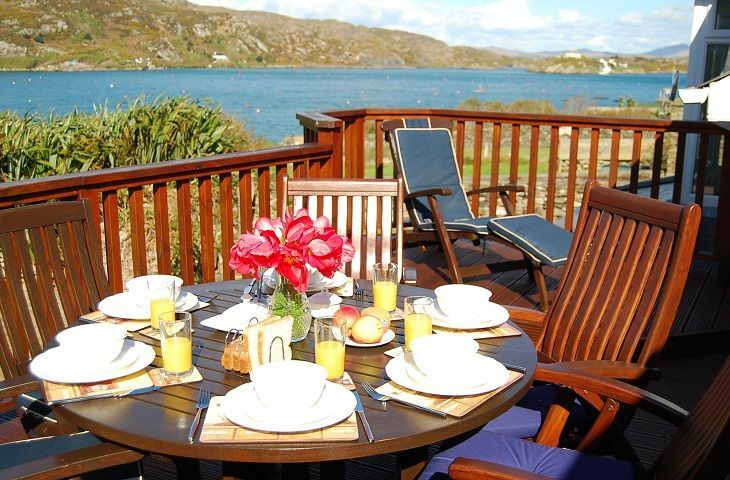 It occupies an elevated site on the shores of Crookhaven Bay, surrounded by spectacular views of mountains, the bay and the village.